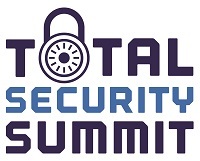 The October Total Security Summit is held at the The Midland Manchester. Situated in the heart of the city, The Midland is a luxury hotel in Manchester like no other. As a four star hotel, it features 312 pristine bedrroms, two award-winning restaurants, an elegant Tea Room, a newly refurbished bar and lounge and 14 impressive conference and meeting rooms to fulfil all your business needs. (From the South) From the M6 Junction 19, join the M56. Follow signs for the city centre (A5103). The follow signs for the Manchester Central Convention Complex/Bridgewater Hall onto Medlock Street. (From the North) From the M6 join the M61 at Preston. Follow signs for M60 South and West towards the Trafford Centre. Follow signs for the Manchester Central Convention Complex/Bridgewater Hall onto Medlock Street. Manchester International airport is the nearest airport to The Midland (10 miles). It is connected to the City Centre by rail to Manchester Piccadilly and Manchester Oxford Road Stations, and by Metrolink to the St Peter’s Square stop to the side of the hotel.